Adding a secondary suite to your home is a great option! Rent out the suite to generate extra income or allow extended family to live close by while maintaining privacy. 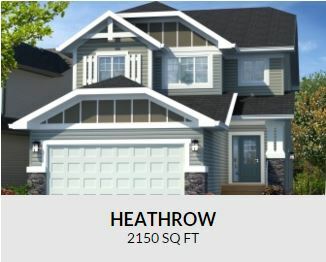 Ask us today about homes available with secondary suites! Increasing your affordability! CMHC allows 100% of the rental income from secondary suites to be used to qualify for a mortgage, meaning you can afford to buy a bigger home. Your mortgage specialist can provide additional details. 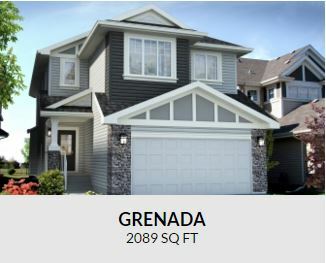 Secondary suite developments are eligible for the City of Edmonton’s Cornerstone II Grant that funds up to $20,000, given that it does not exceed 50% of the total construction cost for the suite. Restrictions apply. 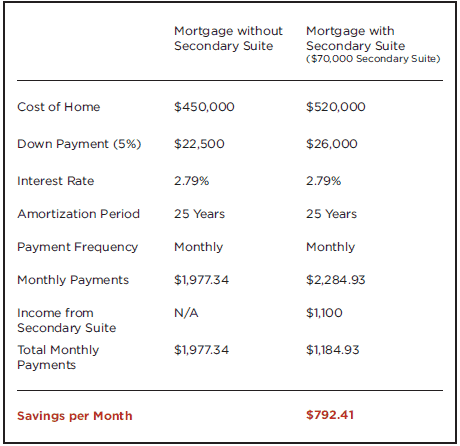 Income generation from renting your suite means a lower monthly payment for you! *These calculations are examples only and some assumptions were made. Please contact your sales person and mortgage specialist for more information.